This morning at kalaupapa was interesting. It could have been because it was Saturday or everybody got a Stand Up Paddle Surfboard for Christmas. There was a crowd of Stand Up Paddle Surfers in the water. Six to eight in the water at a time, at least fifteen that rotated through the few hours we were in it. All levels of skill being represented today. Some were sharing the Aloha and others seemed to be...not. Those who weren't probably got that "you're a kook" vibe from the lay-down guys they paddled into north of us. They had some skill, not entirely why they felt the above mentioned "kook" vibe. Just a guess, could be why they came and joined us...acceptance. There was one wahine that was an inspiration to all. It was her very first time out and she was on it. She had a solid stance and was paddling for the small kine surf and catching 'em. You go girl! No pictures from today, everyone forgot their cameras. Beautiful day, small waves, lots of kelp anchors. Good meeting all those out their that I met, Tracy, Brian. Wow...to much food these past few days. I felt it today, slow and sluggish. After the last day of wind and ran I didn't feel up to surfing any local city beachbreaks so I thought I'd Stand Up Paddle Surf and headed to Dana Point Harbor. I paddled out of the harbor over to Doheny. There were about five guys out and another four kids jumping in with their doyles. I hung out by myself just a little north of them and picked off a couple knee high sliders. After the rains here you definitely don't want to fall in. Nothing real exciting, just a mellow Stand Up Paddle Surf trip to Doho. After all the Christmas activites these past couple days I got some rest and a late start today. The wind was starting to blow and nobody wanted to surf so I headed solo down to Dana Point Harbor for a "loosen up" session of Stand Up Paddle Surf . I cruised down the long channel, taking my time, checking out the marine life in the kelp. I got to the harbor entrance in ran into a friend and his family coming back from a morning of boating. I paddled over and grabbed on to the bow of his boat and we talk story. Afterwards I paddled over to Doheny to check out the surf and see if a friend of mine might be hanging out with his family and his brother. No sign of him or surf so I headed back out to sea. Got a little ways past the harbor and the winds picked up enough to tell me to head back. Easy day today. Maybe some good surf in the morning. They say rain, we'll see. Kyle and I went for a nice 10 miler this afternoon after church. We had such great weather and conditions we thought we'd go for 5 or 6 miles but keep on going. The greatest thing happened on our way out. As we started I noticed a pod of dolphins and started to paddle towards them. There was a good dozen to twenty of them. We paddled into the middle and thought that they would take off. We were way off. As we headed south so did they. They surrounded us and played near us for a good 2 miles. There were a couple of times we couldn't put our paddles in the water because we would have hit them. Two jumped in front of me almost putting me in the water. I also had one that swam directly below me for at least 100-200 meters. A couple times I noticed that he would turn his head to the side to check me out every once in a while. I've surfed with dolphins before, to where they jumped in front of me on a wave. But then they took off. Kyle nor I had never experienced a whole pod of dolphins hanging out with us. This was an unreal experience, only when Stand Up Paddle Surfing. What a great day! So it was late in the afternoon and Chris called and askes if I'm up for a quick session at Church. I'm always up for a quick session at Church! Between the wind and rain this morning and errands and work I wasn't able to get my Stand Up Paddle Surf session in today. I had fresh arms for this surf session and we had waist to shoulder high surf, with some onshore winds...but Church handled it like a champ. The wind started to blow as time went on and it was a chilly wind. Fun waves and good friends...I love surfing. Dinner time, gotta go a hui ho! I had a windy surprise this afternoon. I paddled out of Dana Point Harbor with a slight tail wind. As I rounded the red buoy just outside I felt the wind pick up little more. I didn't think much of it. The further I paddled from the harbor the faster the wind seemed to blow. As I rounded the swim section buoy I realized it wasn't my imagination. The winds were full blown in my face. I had to adjust my course somewhat to finish my Stand Up Paddle Surf session. I pointed more out to sea shooting for the opening of the harbor zig-zaging the ocean swells. I guess I peaked the curiosity of harbor patrol. They came out of the harbor and shadowed my course from a distance. (Thanks for looking out guys.) It wasn't victory at see but my shorts were soaked from the wind and swells. Most of the time the nose of my Stand Up Paddle Surfboard was under water...good training. I made it into the harbor and the wind was howling down the channel. All flags were standing at attention. When I made it back to the car I checked my watch and noticed my times were all jacked up because of the wind. It set some personal bests on the way out and it took almost twice as long to make it back. Good training. We were planning on making a long paddle yesterday morning. When we got down to kalaupapa's the tide was high but the waves were showing potential. We decided on paddling out in front and surfing. What a great call that was. As the tide went out the surf got better. The three of us had waist to chest high waves and clean conditions all morning. Lefts, rights, perfect for Stand Up Paddle Surfing. Three hours later we paddled in and called it good. Today was a mix of offshore paddling, some surfing and a little of downwind cruising. Kyle called mid morning to see what was going on. By the time he swung by and we actually paddled out the wind started to blow. In between that time we ran into a couple of other Stand Up Paddle Surfers that paddled from town. It's cool to hear the stories of how the aloha of this sport is being shared in the water. They had a couple stories from today on the great reception they had on there way down the coast. No doubt they were acting like kings and not kooks. So Kyle and I jumped into the waves and paddled outside and headed north about a mile and a half. The wind was in our face and we were digging. Nevertheless it still was quicker than walking. When we got to where we were going to turn around we stayed and played. There was only another two guys. Decent waves considering the windy conditions. We headed back south, surfing are way back when we could. We played a little bit longer on this one right. Small but long rides. There were four other guys out here and we were helping them spot waves. It's a cool feeling to let some good waves go by and let others enjoy themselves. After a few waves there we caught the downwind run back to the car. We were surfing little ocean swells south, plus the wind. What took about 15 minutes one way took only 5, if that on the way back. Most of the fun had while Stand Up Paddle Surfing is on the way to the surf. Good day, good fun. The weather calmed and cleared. Today was a b-e-a-utiful day day. There was a slight wind in the afternoon, just enough to mix things up a little offshore. I did the Capo Bay Short again this afternoon. I paddled it on Friday and thought it would be a good warmup for the week. Total time paddling just under an hour, 50:30 minutes (start and finish at Baby Beach in Dana Point Harbor). This was the first day since Friday I got in the water for a Stand Up Paddle Surf session. However the weather is looking great for the next couple days and the swell is backing down. Looks like good for Stand Up Paddle Surfing. Paddle paddle paddle. This afternoon's Stand Up Paddle Surf workout was nice. I paddled out of Dana Point Harbor with a slight head wind, around the first red buoy and then followed a line to the white swim section buoy that is in line with Olamendi's (orange building in between the white/blue and grey/blue hotels just north of the pedestrian overpass, Capistrano Beach). Once at the swim buoy I picked a line headed towards the river mouth. As I came closer to the river mouth I was lined myself up with the outside lines of waves that were breaking at Doheny. As I paddled this portion the wind switched and so I continued to paddle into the wind. I stayed on the outside of the surf and made a line just to the inside of Boneyards. I made my corner at the rocks and skirted the jetty breakwater back in to the harbor opening. With the slight winds and the fairly calm conditions I cruised in around 24:30 minutes (time outside the harbor). It's a decent open water Stand Up Paddle Surf route if you don't have much time. It could be shorter if you rounded the corners more. This is called the Capo Bay Short. I finished my workout just in time. As I paddled up the long harbor the sky's started to darken and the winds picked up. On my back to San Clemente I looked out at Poche's and the wind was bumpin' up the surface. Good timing, good quick workout. Stand Up Paddle Surf with aloha. Be a king not a kook. A busy day but I had time in between appointments to get in a Stand Up Paddle Surf workout. A quick run home and down to Dana Point Harbor for an hour workout. Today as I was paddling I was looking for the sweet spot on my new Stand Up Paddle Surfboard. It was only a couple of weeks ago when I put in my order (Super Size Me Please). There was another custom order that was the same dimensions of mine and the guy last minute changed his mind so Ron House being da kine he is hooked me up early. You the man Ron. Oh and these boards are shaped for this, Stand Up Paddle Surf. They are not a tandem board, paddle board, very big longboard, sailboard missing the sail. These boards are made for Stand Up Paddle Surfing on open water and in waves. If you really want to progress in any area of this sport you're going to need the right equipment. So I'm down doing the L-runs at Dana Point Harbor. I start mid board and go at a warm-up pace downwind run. Cruise it about 10:32 minutes. I turn around, step up a little forward and really dig on the way back in to the wind. The wind wasn't as bad as yesterday but it was present. I turn a time of 10:32 minutes, ok. Two different paddle paces and two different positions on the board and the wind with me verses against me...same time both ways. Second set. Downwind this time I dig and move in between the past two spots on the board. Granted I'm running downwind a cross around 9:42 minutes. On the way back this time I step back on the board the furthest of the day and dig in to the wind and show at 10:05 minutes. Big difference. I missed the Stand Up Paddle Surf session with Kyle and Ron this morning and had to fight the wind at Dana Point Harbor this afternoon. Kyle said the surf was better yesterday anyway. The west wind was blowing this afternoon. I did a couple downwind L-runs and one upwind. It seemed that there was more wind through the marina than the long channel, especially the head wind. I did an upwind run through the marina and really had a good workout. An hour all together, a good loosen up workout from yesterdays Stand Up Paddle Surf session in the waves. See you in the water, paddle with aloha. Waves, there's still waves and it looks like there is going to be waves all week. Ron House, K-Mo and myself Stand Up Paddle Surf'd head high waves all to our self this morning. Was good eh. Ron just got a new toy with a water housing and got some good pictures of K-Mo. We'll post more later to www.kingzofthecoast.com Ron had the best kine wave of the day but he was the one taking the pics. The wind didn't pick up until we left so needless to say we had a great time. Long lefts and rights...words can't do it justice. Stand Up Paddle Surfing, or beachboy surfing, is the best when it's just you and some friends cheering each other on and sharing waves. We all had good fun and left tired and stoked. Kyle and I plan on another Stand Up Paddle Surf session tomorrow morning around seven in the a.m. If you like, come paddle with us. Plenty of surf to go around this weekend. After the great day Saturday and taking yesterday off I had an opportunity to run down for a couple quick laps of Stand Up Paddle Surfing at Dana Point Harbor. The winds started to pick up about 10:30 this morning and by the time I got down to the harbor the winds were on it. The winds make for good resistance workouts in the harbor. Try and match your downwind and upwind time in the long habor, it's a work out. Tomorrow morning we're going to surf it up at the colony. I know of three, maybe four of us that are going to be there. Should be a great morning for Stand Up Paddle Surfing. The winds died down early tonight. Maybe see you there, eight-ish. What a day. The swell filled in a little this afternoon. I went open water stand up paddle surfing this morning. Paddled for an hour outside Dana Point Harbor. Always busy on the weekends. Came home, switched boards and jumped in the water down at T-street for an hour or so. My back was feeling the stand up paddle from earlier. Got out of the water and thought that I would eat lunch and do some updates to kingzofthecoast.com but my buddy Chris called during my first bite. "Wanna catch some waves? ", he asks..."right on" is usually my answer to that question. He shows up, we load my board in his van and off to Church we go. We show up at Church and the lines are head high, slight wind bump, but very fun. Chris catches some good rights and I catch a couple here and there. I'm really starting to feel it from this morning's stand up paddle surf. We surf a little after sunset and call it a day...a really good day. This morning Kyle and I tried our luck in beating the marine layer to the surf. By the time we got down to kaluapapa's the marine layer won. It moved in real fast and blew out the conditions for surfing and for stand up paddle surfing. So we cruised. We ended up at Dana Point Harbor and did a couple laps. The marine layer moved and gave us a little wind towards the ends of the tracts. Ran in other Stand Up Paddle Surfers there. Afterwards, we went to get some sashimi...only thing missing was the poi. No signs of the swell yet. Out of the water today, no Stand Up Paddle Surf for Eric today. I'm fixing a ding that I acquired yesterday. The board is drying out today and I'll fix the ding tomorrow, let it cure and be back in the water Stand Up Paddling by Friday. This 'big' north-west swell looks pretty steep and Orange County looks to be left out. There is a paddle race in Long Beach this weekend. I hear the event coordinator is a gracious host. If you're looking for an Stand Up Paddle Surf event go check it out. 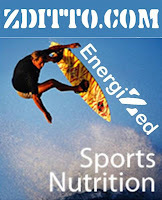 Visit www.kingzofthecoast.com for upcoming races and events that cater to Stand Up Paddle Surfers. No wind again, super glass. I drove down for a quick Stand Up Paddle Surf sesh at the harbor. It's the closest and easiest for me when I only have forty five minutes before the sun goes down. As I was getting in I ran in to Dennis again and met Norm. We did a quick Stand Up Paddle Surf workout around the harbor track. 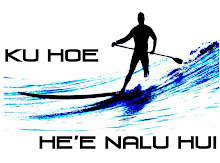 Stand Up Paddle Surf with respect and aloha. Awesome Stand Up Paddle Surfing session this afternoon at Dana Point Harbor. Kyle and I hooked up and did a lap around the harbor. We made a Stand Up Paddle Surf run to the first buoy. The ocean had a little bump to it but nothing too major. We turned back towards the harbor and had to dig through the wind. As we paddle up for our second lap we ran in to Dennis, Preston and C.J. So the five of us headed back out downwind via the long harbor. As we paddled around past the sandbar the wind died down and everything glassed off. We exited the harbor to chase down knee high surf at Doheny. Stand Up Paddle Surfing is a good time no matter how big or small it is. It was a beautiful sunset on the water, glassed off conditions back in to the harbor and as we paddle through the marina the wind began to pick back up. A good two and a half hours of Stand Up Paddle Surfing. My wife showed up a snapped a couple shots of Kyle and I warming up. To check them out click the picture. Stand Up Paddle Surf with Ahola. This event held this morning in Oceanside harbor hosted by the Paopao Outrigger Canoe Club, mahalo for the great time. Ron House, K-Mo and myself all came down together from San Clemente to support Kyle and the standamaran on another test race. For the Stand Up Paddler class there were 3 offical entries and we watched another just mingle in the with crowd out in open water. Tony from Santa Cruz took first and K-Mo on the standamaran came in after him. The conditions were great. The wind switched as K-Mo paddled around in to the harbor on the way back. The sun warmed up around 10am. A beautiful day for a Stand Up Paddle anyway. We're at Oceanside Harbor this morning. Glassy waters, fun surf and perfect offshore winds. The air is a little chilly with the wind but it is December. A couple different courses for this morning. Most Stand Up Paddlers are going for the 4 mile course today in Oceanside. a hui ho, I gotta go! -This email or blog post was sent via my crackberry. I'm on the move, catch me if you can. Just put in my order for my new Stand Up Paddle board with Ron House. 12 feet long, going 28.5 or 29 inches wide and 4.5 inches thick. It's a good all-around, in between surf and open ocean board. I'm 5'10'' weighing in at a light 205lbs Hawaiian (210lbs after one ono meal) so I needed a little more floatation to make some medium range paddles. I blew it, got so excited I forgot to bring my camera. Next time I post a pic.